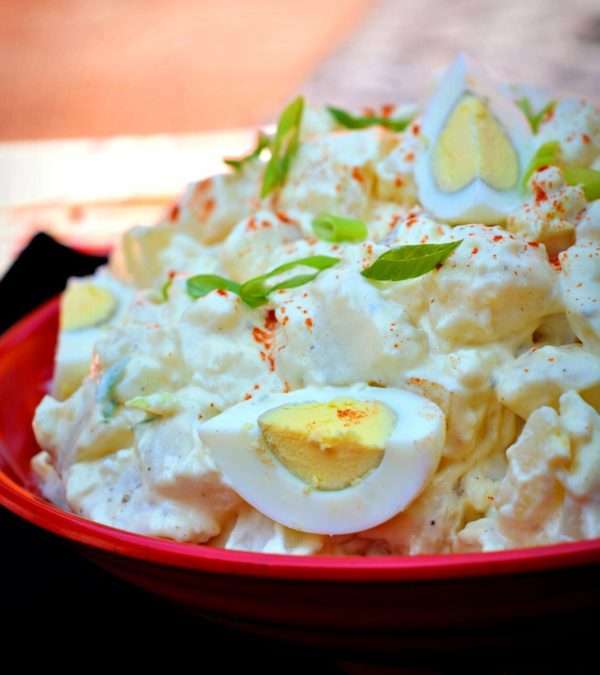 This potato salad is done in an egg salad style, so it's creamy and absolutely delicious. Definitely give this perfect salad a try at your next cookout. Peel and dice russet potatoes. Bring a large pot with 2 quarts of water to boil. Add 1 tablespoon of salt, stir and then add potatoes. Cook for 18-22 minutes, until soft but not mushy. Prepare an ice bath by place cold water and ice in a large bowl. Drain potatoes and dump into ice bath. Add more ice if needed. Let potatoes sit for 15 minutes. This will staunch the cooking process. Slice two of the eggs into quarters. Set aside. These will be garnish. Chop the remaining eggs into small pieces, resembling egg salad. Do not mash. Set aside. Slice green onion, saving about 1 tablespoon of the green part for garnish. Drain potatoes. Chop into smaller pieces if you wish. Combine mayonnaise, green onion, vinegar, mustard, relish, granulated onion, salt, black pepper, and granulated garlic in a bowl. Taste for flavor and adjust accordingly. Remember that potatoes soak up a lot of salt, so keep this in mind. 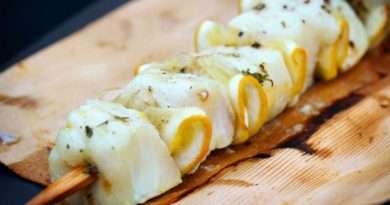 Add egg and potatoes and fold into mayonnaise mixture. Scoop into serving dish and garnish with quartered eggs, a sprinkling of paprika (optional), and the reserved green onion slices. Cover and place into refrigerator for 2 hours before serving. Store leftovers in refrigerator for 2-3 days after preparation.